The National Security Advisor Ajit Doval called Jammu and Kashmir's separate constitution an aberration asserting that sovereignty cannot be diluted and ill-defined. 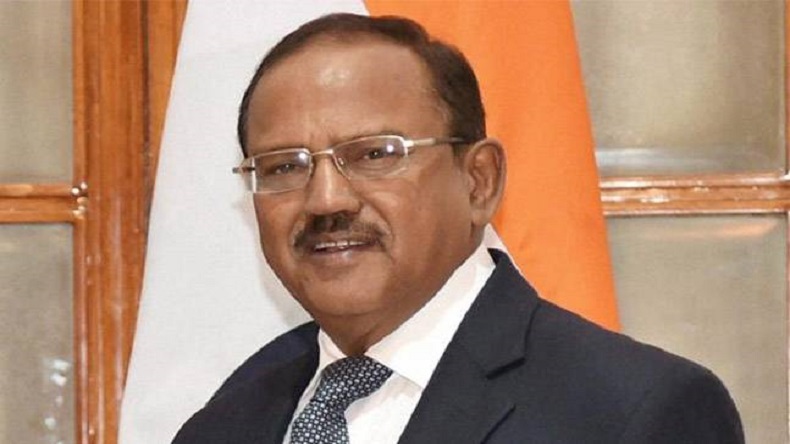 NSA Doval's comment has sparked a political storm with many in opposition claiming that Doval made the comment on the behest of the government. The National Security Advisor Ajit Doval stoked a controversy on Tuesday after he termed Jammu and Kashmir’s separate constitution an “aberration”. Speaking at the launch of a book yesterday NSA Doval said that Vallabhbhai Patel’s contribution in merging of Indian states was only a means to an end. On being asked about what he meant by “means to an end” by NDTV, Doval said that 560 states which had different laws were merged with India and had one constitution, therefore merger was meant to end and end to itself. “The thing was that, to make a sovereign state in which there was the sovereignty of the people, was established in the Constitution, which is applicable to the whole of it. Probably with Jammu and Kashmir, where the Constitution was… in a truncated form… another constitution of J&K continued to exist, which is an aberration,” Doval was quoted as saying by PTI during the book launch event. NSA Doval’s comment has sparked a political storm with many in opposition claiming that Doval made the comment on the behest of the government. “I think for a person in such a responsible position, Ajit Doval’s statement is irresponsible… Statements like this are altering the mindsets of the general public about Kashmir,” Rafi Ahmad Mir from People’s Democratic Party was quoted by NDTV as saying.